We are delighted that our book (with coauthor Jo Wimpenny) on the modern history of ornithology will be published today, by Princeton University Press. 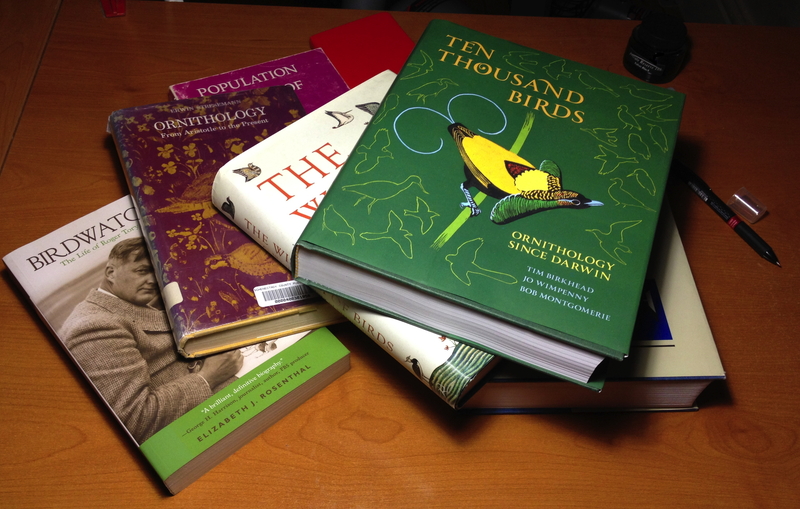 Ten Thousand Birds: Ornithology since Darwin was the product of more than five years of hard work researching and writing, after several years of thinking and planning to undertake this project. Tim obtained some very welcome funding from the Leverhulme Trust to pay Jo’s salary for three years, and to cover the costs of travel and materials to research the book and interview ornithologists. Princeton Press has really put this book together very nicely. The layout, fonts, paper, colour printing, dust jacket and binding are all superb, and the price seems to us to be remarkably low—if this were a college textbook the price would be five times higher, at least. They have also done a superb job of distributing the book to potential reviewers and you can read their reviews here. As of today there has been a handful of excellent reviews in advance of publication and we will continue to update that page of reviews as new ones appear. At first, researching and writing a book like this—covering all of ornithology since the middle of the 19th century seemed a daunting, if not impossible, task given the huge volume of published material on birds since Darwin’s day. Maybe this is why nobody had tried this before . But we were fortunate both to get essential funding from the Leverhulme Trust and to be starting this project just as the internet was beginning to make available a wealth of historical material in the form of both published works and photographs. Even after we started work in earnest in 2008, the online BioDiversity Heritage Library, for example, added dozens of ornithological works from the late 19th and early twentieth centuries. Without such internet resources tracking down an obscure reference, or determining what Thomas Henry Huxley had to say about birds and dinosaurs, would have taken weeks or months instead of minutes or hours. The web continues to burgeon with historical material about ornithology and we will do our best to keep you abreast of this material on this blog. We were also very fortunate to know lots of great ornithologists personally. Tim did his PhD with Chris Perrins and worked with David Lack; Bob did his PhD with Peter Grant—and the works of Lack, Grant and Perrins figure significantly in several of our chapters. We personally interviewed another 50 professional ornithologists who made substantial contributions to the development of ornithology in the latter part of the 20th century. Without all of these personal connections it would have been extremely difficult to bring life to their stories and context to their discoveries. We also had invaluable help from librarians and museums, where much of the historical material is stored in the form of books and notebooks, as well as literally millions of bird and egg specimens. Bob went to school at McGill University in Montreal where he got to know the wonderful Blacker-Wood Library of Zoology and Ornithology and its librarian, Eleanor MacLean. Eleanor, who is recently retired, gave us unprecedented access to their vast collections of rare material. Similarly, Tim and Jo both went to Oxford and were able to get access to historical materials from the Alexander Library of Ornithology there, one of the finest ornithological library in the world. Clair Castle, Librarian at The Balfour and Newton Library in the Zoology Department at Cambridge University was simply fantastic at about allowing us access and locating historical material for us, often on very short notice. Curators and staff of the Department of Ornithology at the American Museum of Natural History (Joel Cracraft, George Barrowclough, Mary LeCroy and Paul Sweet) in New York, and at the Natural History Museum at Tring, UK, allowed us to explore their collections and historical archives so that we could learn more about those great institutions, probably the finest two ornithological museums in the world. 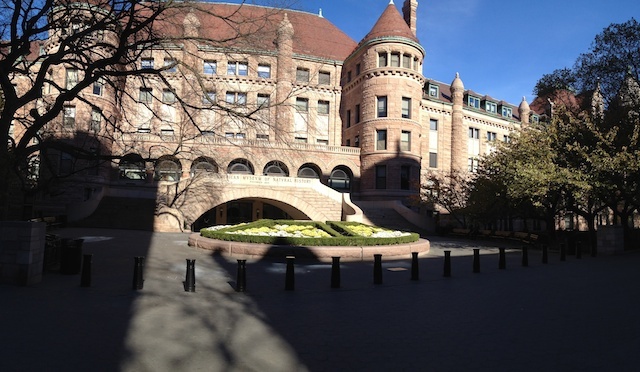 Visiting those two museums took us back into the very history of ornithology. Our biggest disappointment in writing this book is that we had to leave so much out. Had we included all of the interesting material that we gathered, the book would have run to 10,000 pages instead of 500. It seems to us a shame to keep all of that material to ourselves so we hope to ‘publish’ much of it on this blog in the hopes both that others will find it interesting and future historians of ornithology will not have to redo some of the research that we have already done. To that end we will also publish here the audio and video recordings of the interviews we conducted, and the huge collection of largely never-before-published collection of photographs and drawings that we could not put in the book. By Bob Montgomerie in books, libraries, museums on 27 February 2014 .